We are excited to invite you and a guest to a screening of the upcoming movie, Breakthrough. The movie looks really good! Be sure to check out the trailer prior to reserving your tickets! 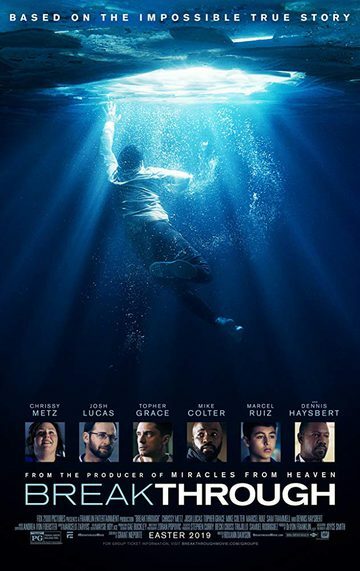 Breakthrough will be playing in theaters on April 17th! Grab your tickets for this Saturday, April 6th at 10:30am. The showing will be at AMC Town Center. Tickets are a first-come first-serve basis and they aren’t guaranteed. Get your screening tickets today.